One of Surly Bikes new models for 2011 was the Troll. 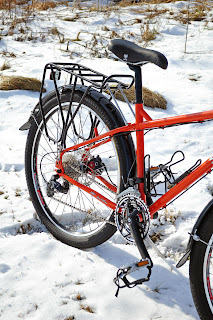 It was designed as a rigid mountain bike ideal for singletrack adventuring, commuting, touring, exploring, or any cycling task where you want a bike tough enough to handle anything the road or trail throws at you. We recently had our first opportunity to put together a Troll for a customer in the Century Cycles store in Medina. 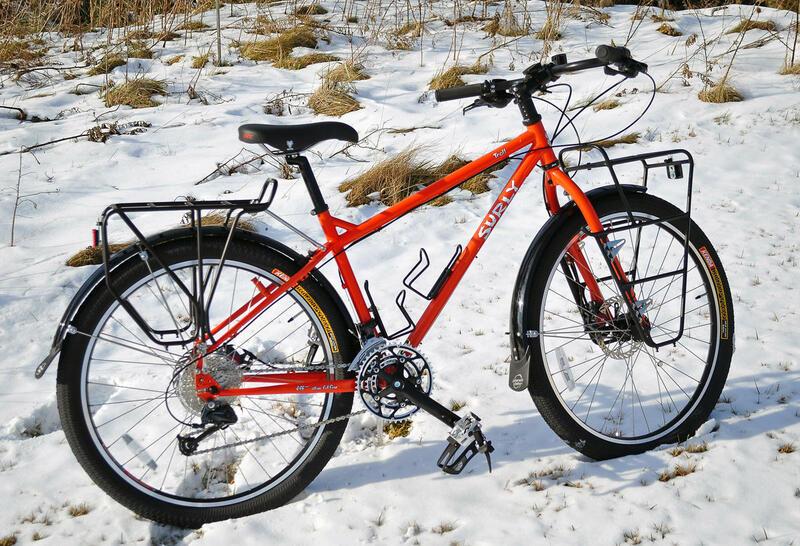 The frame and fork, of course, are Surly's 4130 chromoly steel, in eye-catching Agent Orange color. You can order the Troll as a frameset only, and custom-build it however you like. 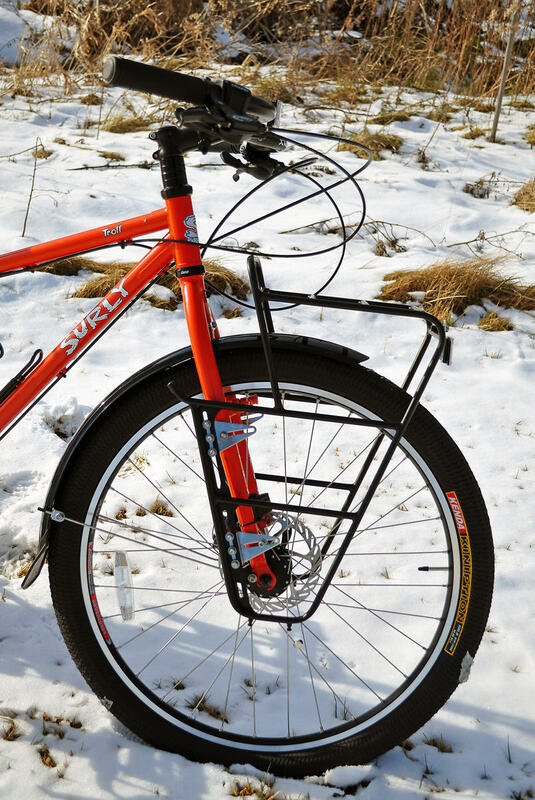 The frame can handle 26-inch wheels as wide as a whopping 2.7 inches. 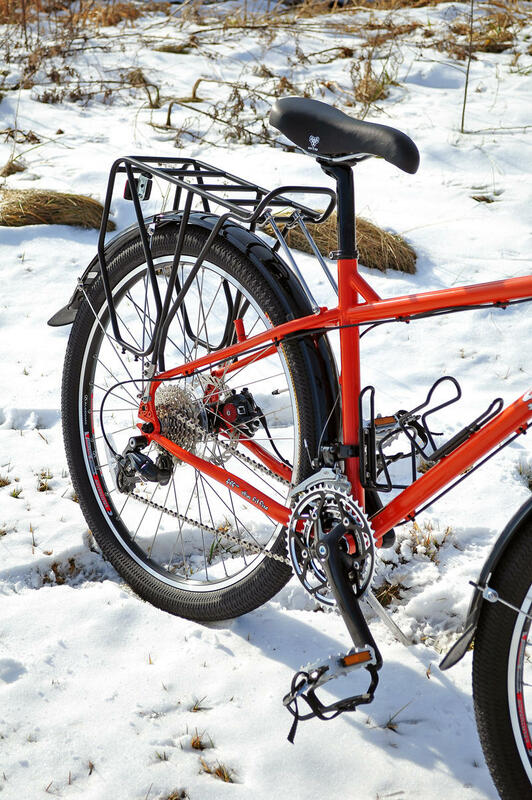 This model is the stock complete bike, which features a Shimano Deore drivetrain, bombproof wheels with Shimano Deore hubs and Alex Adventurer rims, and Avid BB7 mechanical disc brakes. The gearing includes a standard 11-tooth/34-tooth cassette, and 24/34/46 triple chainrings--that's lower than a road bike, higher than a typical mountain bike, so you get the perfect range for cruising all roads, paved or not, and under and over any bridge along the way. It also comes with the new Surly Open Bar handlebar, which comes in a wide 666 millimeters with a 53 degree bend, for super comfort and control. We also outfitted this bike with matching front and rear Surly cargo racks, and Planet Bike fenders. 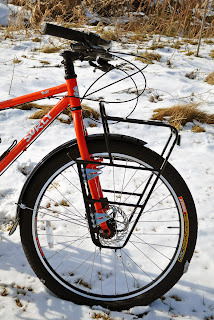 Happy Trails to our first Surly Troll owner!